Kayak Distribution’s goal is to be a strong partner with its retailers and brands to service the paddling community with top of the line products at exceptional value. That is why, year after year, our growth comes from increased sales with our existing partners. As manufacturers of rotomolded, thermoformed, and composite kayaks, we at Kayak Distribution embrace a modern, forward-looking vision using technology. 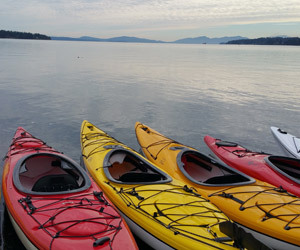 This supports our desire to provide feature-rich, cost-effective, and safe kayaks to the public. It is our belief that the initial introduction to kayaking should be a pleasurable experience, and with that thought in mind we strive to ensure our kayaks are comfortable, safe, and feature-rich, providing paddlers with the best experience on the water possible. We are kayakers and take great pride into manufacturing & distributing this incredible line-up of kayaks. The formation of Kayak Distribution in Montreal (Canada), began with the purchase of one established and renowned outdoor brand. Riot has a large number of innovations to it’s name and is recognized internationally. Expanding its portfolio, Kayak Distribution acquired leading sea kayak producer Boreal Design and Beluga Gear, originally started in 1991. By producing a wide array of kayaks in rotomolded plastic and composite, dealers can now meet the needs for all types of customers. By the year 2013, Kayak Distribution adds to its extensive portfolio and acquires the thermoformed division of Seaward Kayaks, a brand now more than 30 years in production. Kayak Distribution acquired Corran Stand-up Paddleboards, which was renamed Riot Stand-up Paddleboards (SUP’s). KD also completes the construction of its new 70,000 sq.ft state of the art factory in order to support its growth. Kayak distribution opens an international warehouse in Denmark to support European sales. With a heritage of Canadian design and manufacturing, the Kayak Distribution team believes every detail on a boat is functional and durable. In all our construction we only use the highest quality materials be it HDPE, thermoformed ABS or Resins and fabric for our composites. Understanding and working to meet the needs of kayakers and to facilitate the exploration of waterways each new design is tailored to accommodate individual paddlers size and skill. Kayak Distribution’s passionate designers residing in British Columbia and Montreal, have an excess of 35 years of experience. Kayak Distribution is always striving to innovate and customize to improve the great sport of kayaking. Our top-ranking brands in USA and Canada are known for their durable quality, distinct designs, and competitive pricing. To uphold our vision in paddle sports we manufacture kayaks that meet the specifications and expectations of all kayakers. Kayak Distribution is fast becoming a major distributor in Europe and Australia and is always looking to expand into new markets. Contact the Kayak Distribution team about becoming our next satisfied and successful dealer!